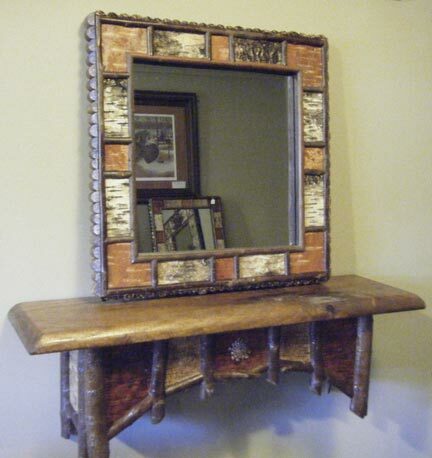 #4310 - Mirror with wine cork edge. Birch bark and twig border. 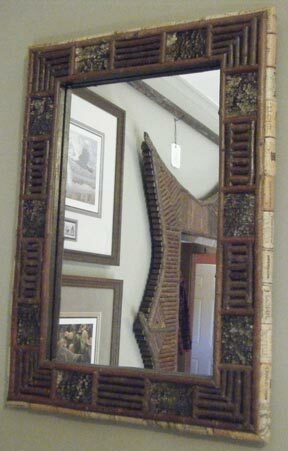 #4316- Mirror w/ wine cork edge. #4318 - Mirror. 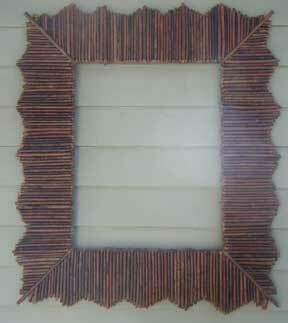 Birch bark border w/ twig trim. #934 - Reversed birch bark. Embellished with maple burls. NEW!